While everyone can recall a moment from primary school where they used everyday recyclable materials for an art project, one 22-year-old from Bengaluru, India, has taken it a step further. Putting everyone to shame, Suraj Kumar Jana, the founder of Opencube LabsBased, shut down the game after he launched his 2014 project, "CanSat Development Programme." In its launch, Jana saw the opportunity to give students the ability to experiment with small scale missions through several workshops. 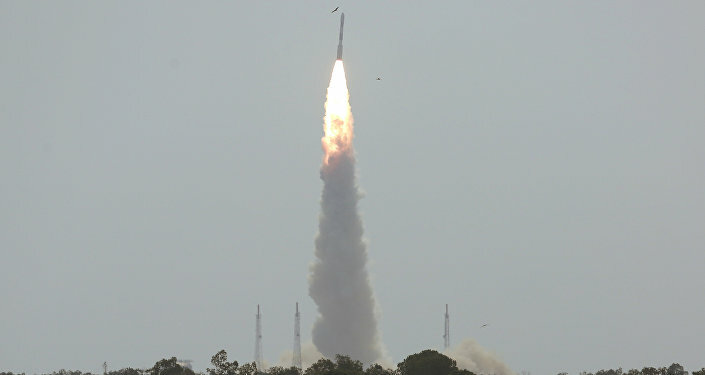 "Receiving real-time experience of small scale space missions isn’t that reasonable and goes beyond affordability of Indian, middle class students," Jana, a graduate of BMS Institute of Technology, told the Times of India. "Through our workshops, we provide students first-hand knowledge on making, operating and launch of satellites." In this particular project, the students created miniature versions of satellites in order to collect information about the city’s pollution levels, temperature, quality of air and water, and traffic congestion. So how does one create mini-satellites? Well, for this innovator, it was all a matter of collecting coke, red bull and even beer cans to construct the body of the information-gathering bots. From there, the CanSat project saw the installation of the open source database hardware that came from either Arduino or RaspberryPi material. After everything was good and ready to go, mind you it all fit into a 350ml soda can, the overachievers marched off to the air force base in Yelahanka, India, to release the parachuting soda cans. As the cans made their way to the ground the information was quickly transmitted to the ground station. For Jana, the end goal of the project is for the data to be used to implement better environmental policies. All in all, it’s safe to say Elon Musk won’t be the only pioneer to use recycled material in space-like missions--time to make space for the new kids on the block.